Install the REVE Secure – 2 FA Mobile app from the store (App Store or Play Store). Register in REVE Secure app using your mobile number. On the Plesk Control Panel, select Extensions. In the Extensions window, under My Extensions, open REVE Secure. (Once the extension is installed, it can be accessed through the navigation pane). Enter your email ID and click next. Next, enter the OTP sent to the specified email ID, and click Validate. Enter your mobile number with country code (same number used to register in the app) and organization name. Click Next. Select a suitable authentication method from the list and click Send. Complete two-factor authentication from your mobile device. 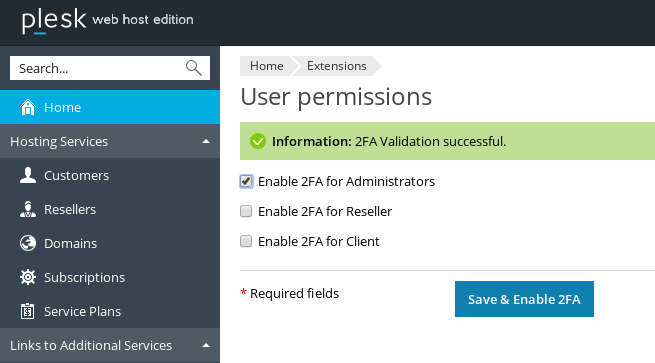 Once the 2FA Validation is successful, the Admin can enable 2FA for other Administrators, Resellers, or Clients. 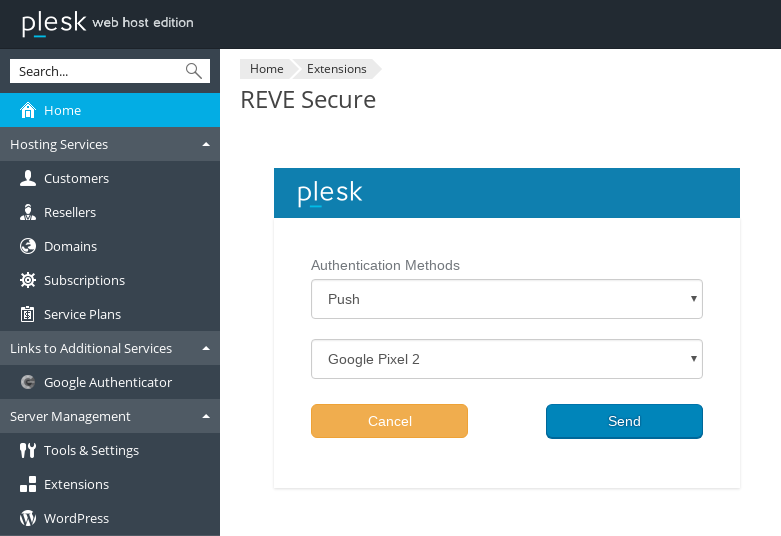 On the Plesk Control Panel, in the Home page, under Custom Buttons section, open REVE Secure. Provide your email ID and mobile number (same number used to register in the app), and click Next.